Over the years, we’ve consulted with a number of Private Equity clients and their newly acquired portfolio companies. PE firms invest in portfolio companies, in large part, based on the ability of the acquired management team to execute on an agreed-upon strategy, use capital efficiently and provide the underwritten ROI. PE firms usually do not want to get involved in day-to-day management. What they do want is timely and accurate reporting to provide an early warning if things are going off the rails. This reporting requirement is often an early point of frustration in an otherwise good relationship. The incumbent management team has probably been operating for years on a monthly reporting package, largely comprised of a simple P&L report. The PE firm’s portfolio management group will want more detailed financial reports and operating data. They want to quickly peruse the monthly reports for exceptions. If all is going well, the management team may not get many questions beyond a status inquiry on strategic execution. However, if the local management team can’t produce timely and accurate reporting after a reasonable post-acquisition period, then they might get a visit from the PE firm’s consultants to help them get their reporting up to speed. We have completed a number of such assignments. We usually start with a Fast Track diagnostic review to determine what is bottlenecking their ability to provide their PE firm their required reports. We would want to look at the accounting organization; does it have the bench strength to support the new reporting requirements or does it need beefing up? We’d also want to look at the processes by which data is accumulated, summarized and reported. Does the General Ledger Chart of Accounts need to be revised to facilitate new more detailed financial or operating reporting requirements? What are the review processes for ensuring timely and accurate monthly closings? What are the Accounting and reporting IT toolsets? Does the Accounting system need to be upgraded? Are they using Excel for all reporting or would a different reporting package be better suited to the new requirements? We then develop an implementation plan to improve the portfolio company’s reporting function which we usually sort into Quick Hits and Focused Improvement Opportunities. Here are several examples of how we’ve helped PE clients and their portfolio companies get their reporting on track. 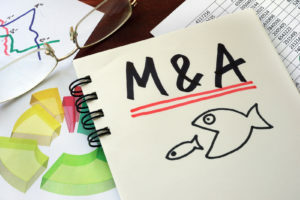 A leading PE firm in New York, had acquired a branded furniture manufacturing company in North Carolina about a year prior. Financial reporting was been slow and getting slower. When the reports were sent to the PE firm and questions were raised, the CFO would take months to pull an answer together. That was causing concerns within the PE firm. They were still solidly behind the management team but questioned the ability of Accounting function. They wanted to be helpful with their new management team – not punitive – in sending us in. Here is what we found in our diagnostic review.When the acquisition was completed the PE firm had funded the implementation of a new accounting system. The implementation was never fully completed and ran over budget. The CFO didn’t want to ask for more funding to complete the project. As a result, he had cobbled together the old and new (incomplete) systems, using Excel as a reporting bridge. That made the monthly close a very time consuming process. That caused a several-months lag in each monthly close. Then when the PE firm raised normal questions, the analysis was impossibly time consuming. Each question posed caused a cascading effect of causing additional bottlenecks. We proposed a plan that included completing the implementation of their manufacturing ERP system together with a restructuring of the General Ledger chart of accounts and a newly designed monthly reporting packages. We also proposed a bar-coding system on the factory floor to better track WIP inventory. We completed our implementation plan on time and on budget and the PE and local management teams maintained their otherwise good relationship. Another leading New York based PE firm had acquired a global chemical manufacturer headquartered in Pennsylvania. Shortly after the acquisition the portfolio company began having trouble consolidating their monthly financial statements causing reporting delays. And, their newly installed CEO wanted much more operating data than the prior CEO wanted. The company was about to embark on a costly seven-figure ERP system project with a “Big 4” consulting practice. At the same time, there was a market downturn in a sector this company served. We were asked to see if they could revise their closing processes in the short-term to defer the project until the business recovered.Our diagnostic review revealed that the various country-specific subsidiaries were all on different Accounting systems. However, they had a sound consolidation process if each local company would comply with the timing requirements for submitting consolidation worksheets in Excel. The problem was simply a lack of discipline. We developed a submission timetable and elicited senior management support to enforce reporting disciplines. Accordingly, we assisted the portfolio company to delay the project until the business climate improved. That helped smooth things out between the PE firm and local management team. For a Private Investor in New York we conducted a diagnostic review of an operating company he had invested in which was located in a Mountain state out West. The company was using QuickBooks in a multi-company and international operating environment. QuickBooks could no longer efficiently support their Accounting and reporting requirements. The company had purchased Great Plains (Microsoft Dynamics) package several years prior but had simply never implemented it. We were asked to come in and implement the package.As usual for us we started with a diagnostic phase of work. We found that a single person in the Accounting reporting area was reluctant to move off QuickBooks onto something new and unknown. He was working long hours cobbling together reports in Excel and was fearful that the new system would only add to his burden. We worked with their local CPA / consulting firm to develop an implementation plan and convince the financial reporting person that the new system would actually lessen his workload. Within several months, the package was implemented and the investor and the local management team could get the reports they wanted on a timely basis.Once the package was implemented and useful financial information was being provided to the investor, we were retained to assist the company in solving a variety of financial control issues, such as establishing budgeting and variance reporting processes and disciplines and serving in a “C-Suite” capacity by leading, on behalf of the remote investor, monthly management review meetings; essentially as a local representative of the investor overseeing the management team. As these examples indicate, there are often hiccups in relationships with new investors requiring enhanced reporting from incumbent management teams. These hiccups can damage the early trust of remote investors and local management teams if not quickly addressed. It is important for the PE firms to approach these early issues with the perspective of offering post-acquisition consulting assistance as compared with taking punitive measures. Quick Hits are tasks that could be accomplished with little or no investment required – usually simple process changes. Focused Improvement Opportunities are tasks that would require more time, effort, and possible investment to implement. This entry was posted in blog post, Uncategorized by Rich Azar. Bookmark the permalink.